Some time ago, I attended a fondant baking class under Bakin Cow (BakinCalf Baking Class) with my girlies. I was always intrigued by all those fondant cake decorations and amazed by how pretty the designs those nimble-handed bakers can come up with, but never ever wanted to try it out for myself, knowing how tricky fondant can be to work with. However, as a bonding session with the girls, we thought, why not? And so we went ahead with the registration for the entire clique! First up, I really have to extend my apologies to Shinni, our baking teacher, for we were so late for the class! Almost 45 minutes late, and it got our baking lesson to a slightly gloomy start. However, Shinni was quick to get over our tardiness (which, frankly speak IS a form of disrespect) and opened up to us soon enough to make our private session a fun one, filled with lots of laughter. 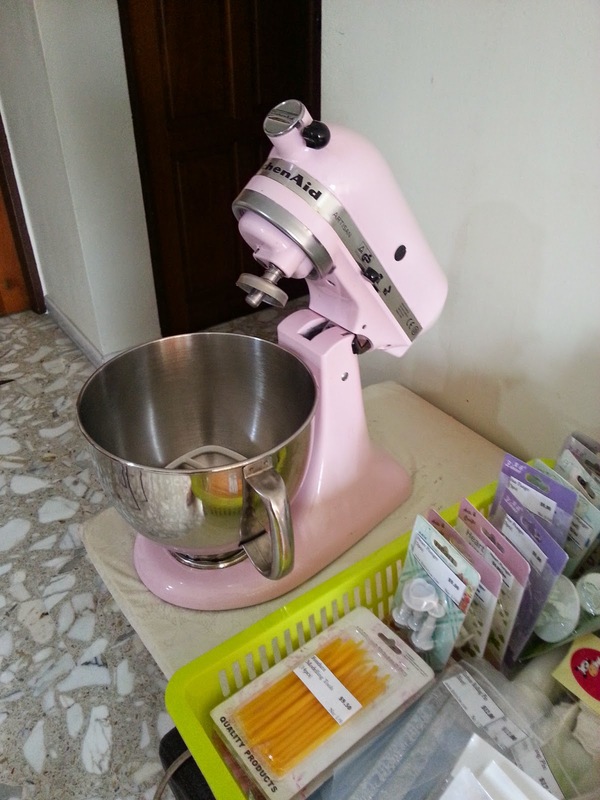 Couldn't help it but snapped a picture of the baby pink KitchenAid. The cupcakes we baked for the day was red velvet cupcakes, which recipe I shall not share for this is from a baking class and was a non-sponsored event. The class entitled every pax to go home with 6 standard sized cupcakes in a box, carrier not provided. And here's us (or rather, some of us) going kuku (crazy) over the very 'disobedient' fondant bits and pieces. Curious on what's the design theme for the class? This is my own creation (every single step painstakingly taught by Shinni, of course). And the greater (or greatest) challenges no doubt is the traditional Chinese costumes. Yes, these are definitely NOT my creation, but was Shinni's favourite for the day. She loved the tikopek moustache given to the groom. Hahaha! The two main challenges, no doubt has to be the chinese button details on the bride's kua and the silk ribbon on the groom's attire. These two were my worst nightmares, ever! A glimpse of what the silk ribbon ball is made up of. A total of 9 rolled up pointed tip bits, stacked up in 2 layers, 4 on 5, with a ball stuck in the middle of the "flower". Sounds easy enough, but they take a million tries to hold their place altogether. 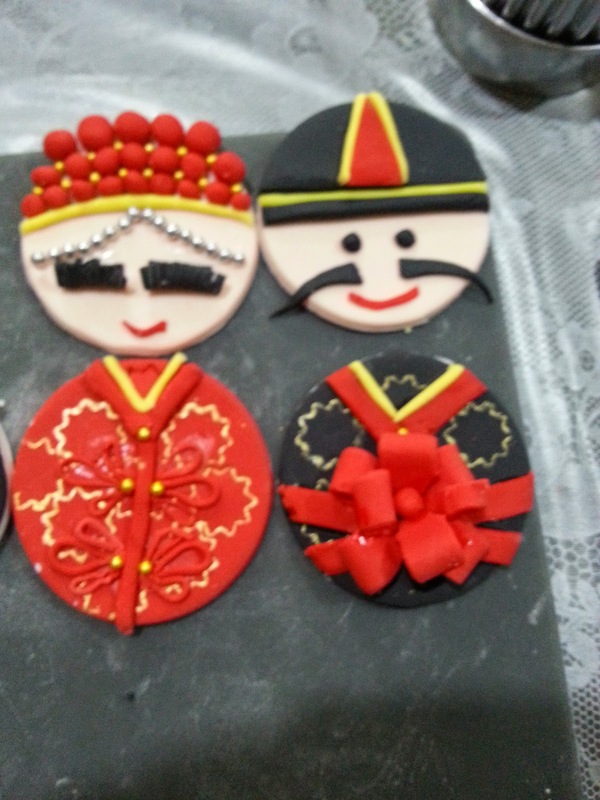 And the button detail for the bride's kua was also a big challenge as the fondant needs to be rolled as thin as possible to make the button delicate. However, the thinner it is, the quicker it hardens up. So even before I could proceed to roll the strip into a tear drop shape, it has harden up and broke / crack instead. And of course, what do you do when you're with your girlies? 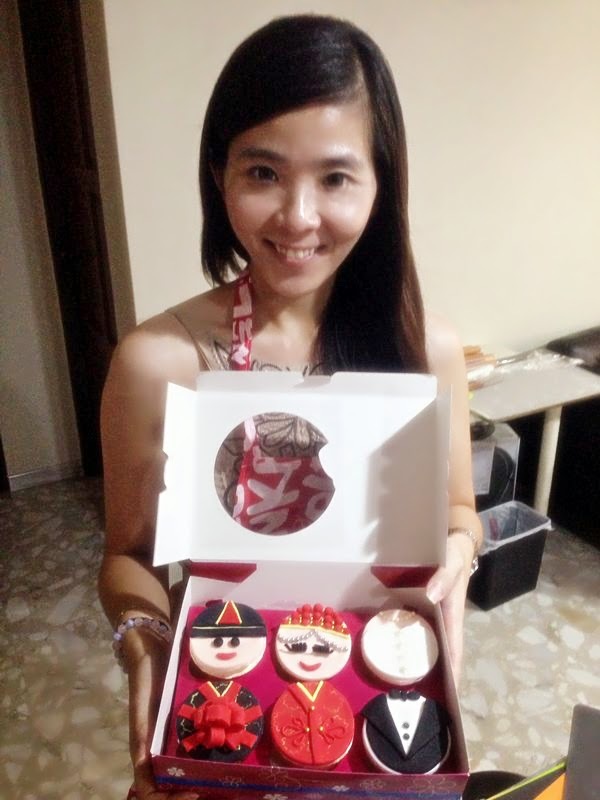 A happy selfie with my completed fondant red velvet cupcakes! After the workshop, I can further confirm that fondant is really not my cup of tea. Yes, it helps us to create amazingly beautiful designs, but let's face it, they really do not taste fantastic. 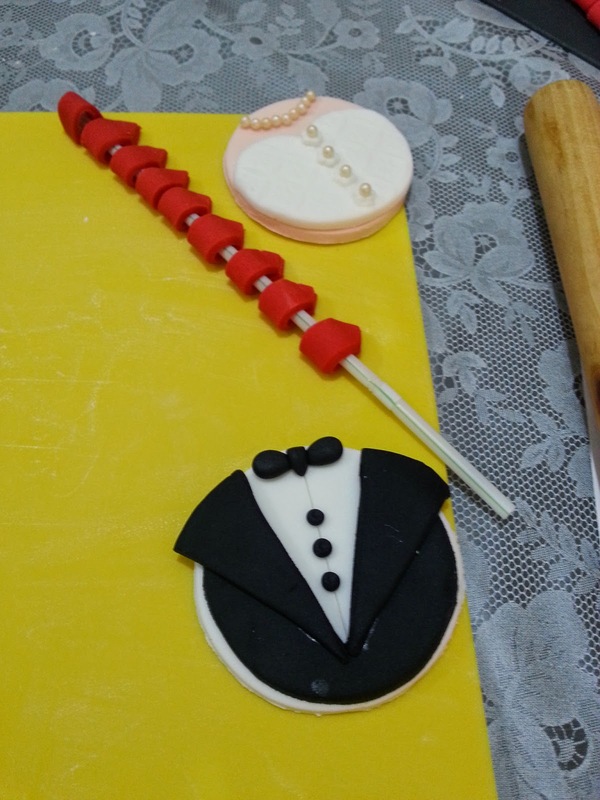 Plus the more extensive the design, it probably means the more bare fingers kneading of the fondant. "Kneading, so what? All bread doughs are kneaded with bare hands too." 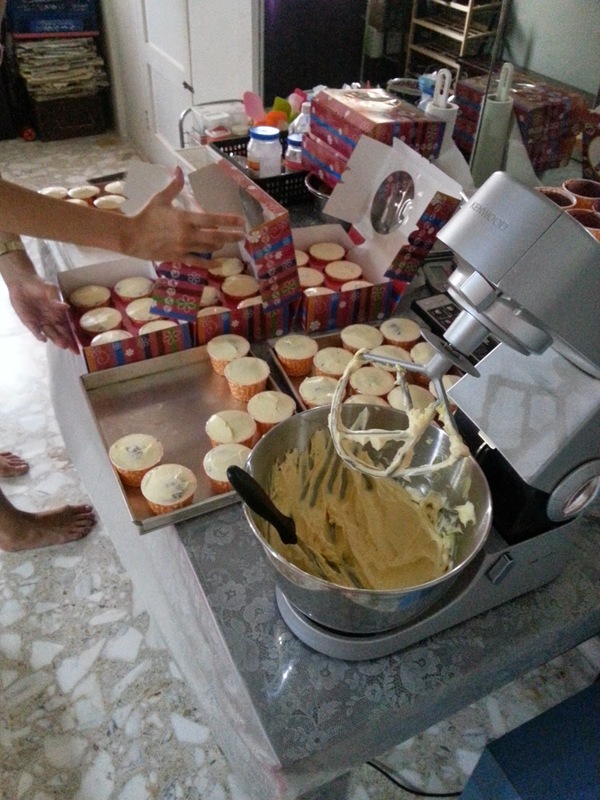 Yeah, but they get baked at hundred over degree Celsius after, while these fondant goes directly into your tummy. And I haven't even get to the point of how much food colouring gets kneaded into those white fondant to get brightly coloured fondants. Eh, nope. No thanks, I'm full. 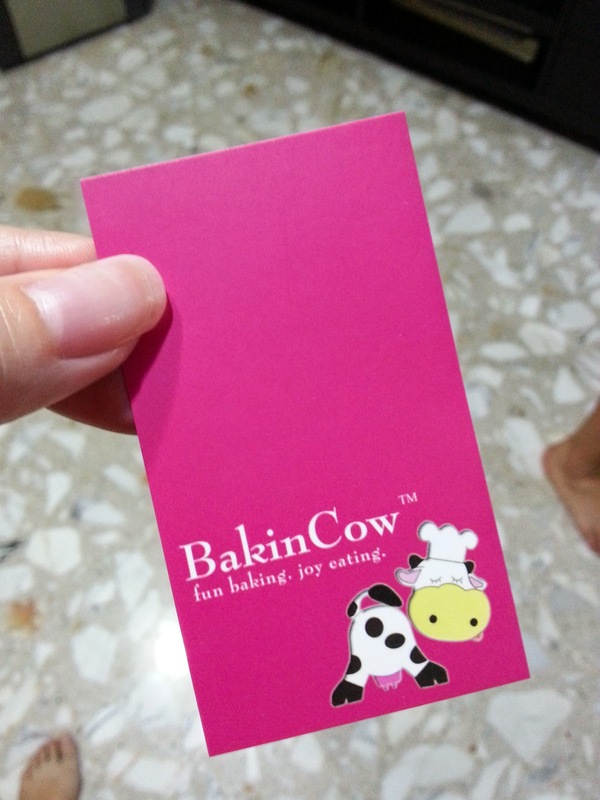 For more information on Bakin Cow's products and price list, visit their website HERE. For more information on Bakin Calf's baking classes visit their website HERE. I love the way you have described the experiences you had. 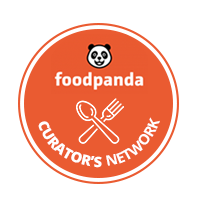 If you are an expat and plan on moving to Singapore, you may want to check out www.placematch.sg. I found it to be very useful in finding a place. K love the designs you created! The wedding theme is really do cute. 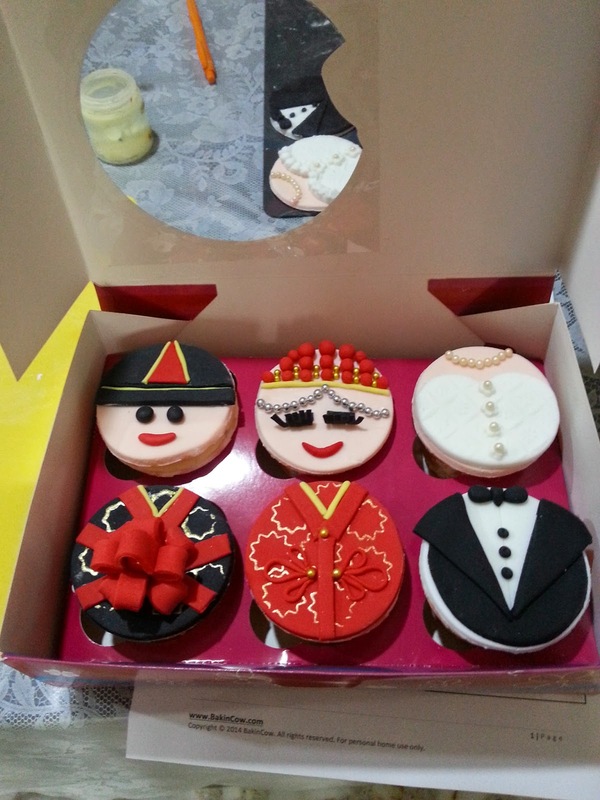 You are a talented cupcake designer. I'm impressed by your skill. WoW!